As we all know, the washing machine has been basically popularized in China, the market is close to saturation, and the competition is becoming more and more fierce. At the same time, under the influence of the general trend of consumption upgrading, only the products that satisfy the basic functions of users lose their competitiveness, and a battle about quality quietly started. Among them, the domestic appliance giant TCL washing machine is also leading the industry in its own way. In recent years, with the disappearance of the population and the dividend advantage of the third- and fourth-tier markets, the development of the washing machine industry has become more anxious, and the market has entered a period of sluggish decline in the amount of goods. The domestic brands of washing machines have performed differently during this period. According to the latest market data released by Yikang, an authoritative survey agency, washing machines have experienced negative growth for four months in the first seven months of 2018, and the entire industry has entered the downtrend channel. As of now, the cumulative sales of the entire washing machine industry has lost 0.81% year-on-year. , 8KG and above capacity of washing machine products, 2018 cumulative retail share accounted for 95%, retail sales accounted for 97%, large-capacity products have occupied most of the washing machine market. In this context, in the first half of this year, TCL Group's washing machine shipments exceeded 1 million units, revenue increased by 16.6% year-on-year, the industry ranked sixth; the company's drum washing machine proportion increased from 15.2% in 2016 to 26.8%, large capacity accounted for The ratio (above 8KG) increased from 18.4% to 42%, achieving high quality growth. It must be said that the achievement of this achievement is rare in the current washing machine market. Industry analysts also believe that in the current downturn of the industry, TCL washing machines can maintain rapid growth, and it has always been in technological innovation, channel integration , the development of high-end intelligence and other aspects have a direct relationship, called the industry benchmark. Nowadays, health problems have risen to the national strategy and become the focus of people's urgent needs. TCL washing machines have always been concerned about this pain point, and regard health as the main direction of technological innovation, bringing more intelligent health to family life through design and technological innovation. Caring and infinitely moving. As early as March 2016, TCL washing machine in the industry pioneered the pollution-free type Washing Machine, pollution-free laundry machines began to board the stage of history; August 2016, TCL launched the pollution-free drum washing machine, to achieve pollution-free roller system solutions Solution; In March 2017, the first non-pollution bucket in the barrel washing machine became the founder of the free sewage system solution; in 2018, TCL washing machine released the 'free pollution +' product brand strategy upgrade, leading the industry with health upgrade. At present, TCL pollution-free washing machine realizes all-round, whole process, 100% free of life. The all-round pollution-free washing machine completely bids farewell to solid pollutants (filaments, hair, metal, oxide, etc.) and germs ( Bacterial microbes, real health care; no pollution in the whole process of washing, no separate procedures, making the pollution-free process more convenient and worry-free, each time a brand new laundry experience, let the clothes look new; life-saving pollution-free TCL free In the product life cycle of the washing machine, from purchase to use, no matter how long or short, it will always be free of pollution, and will not cause pollution during use. In order to avoid cross-infection, the TCL free-flow bucket in the barrel washing machine provides the perfect solution. TCL pollution-free barrel in the barrel washing machine uses the bucket barrel technology principle to create 1+N exclusive space, with '1+N' The washing mode, the exclusive barrel adopts detachable design, and is designed in a variety of colors. The family members are one person and one bucket, creating exclusive washing space for underwear and socks, and realizing a washing machine to meet the needs of the whole family or many people. In addition, TCL pollution-free drum washing machine adopts the first low-temperature quick-drying condensing type washing and drying machine, double-layer high-efficiency metal condenser, which realizes 40-minute speed-washing and drying--two shirts for 40 minutes, which is washed quickly and quickly. 2 shirts are dried at a speed of 26 minutes; at the same time, the drying temperature is 50 degrees low temperature drying, so that the clothes can be finely dried during the low temperature drying process, even if the wool, down, silk and other materials can be refined. 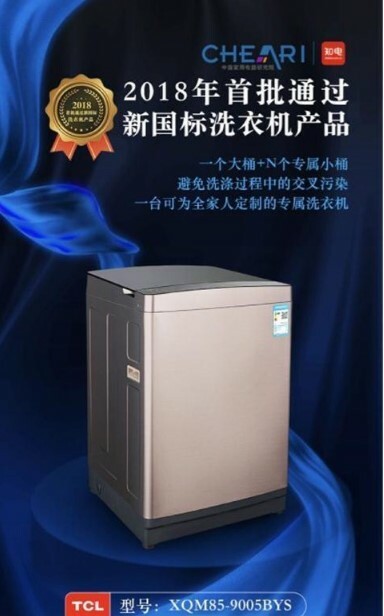 On September 3, at the launch of the first batch of new national standard products for washing machines in Beijing in 2018, the TCL free-floating drum washing machine (XQGM110-12307BH) and TCL free-flow barrel-type washing machine (XQM85-) of TCL refrigerator washing machine 9005BYS) Both became the first batch of new national standard products through the washing machine in 2018, and were rated as 'the first batch of new national standard test products'. Wang Xianju, general manager of TCL White Appliances Division, said in an interview with the media during the IFA, standing in the new era and starting a new era, TCL refrigerator washing machine will continue to adhere to the pragmatic and innovative corporate philosophy, focus on the healthy life of users and innovate, with creative design, innovative Science and technology interpret the infinite possibilities for a better life, bring intelligent care and infinite touch to the healthy life of family members. Stick to the industry, promote the innovation and upgrading of China's home appliance industry, practice the brand of big countries, and start from the heart of the world stage. On August 31st, IFA 2018 Berlin International Consumer Electronics Show opened as scheduled. TCL washing machine has been deeply innovated for many years. In this year's IFA exhibition, it has won the most innovative home appliance brand in the refrigerator industry. The Bake One Product Innovation Achievement Award' highlights the strength of China's big country brands. 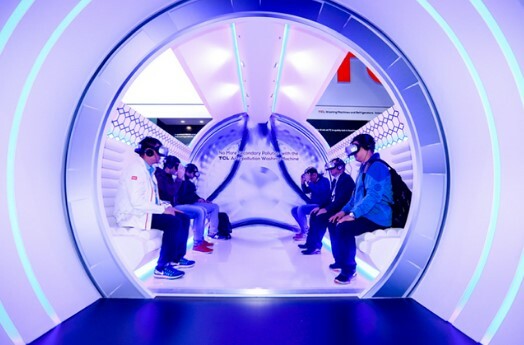 On-site, TCL washing machines also use the latest VR experience technology, allowing the audience to experience the dirt-free and overall care process through three-dimensional experience. 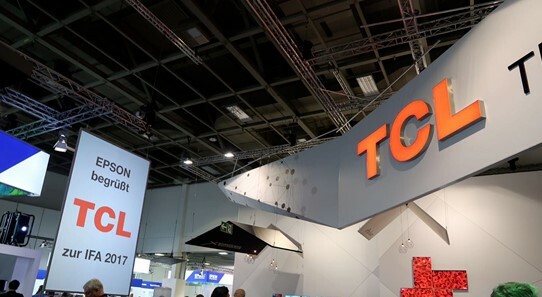 It must be said that in just a few decades, the Chinese home appliance brand represented by TCL washing machine has grown from scratch, from China to China, and it is the innovation that IFA relies on. 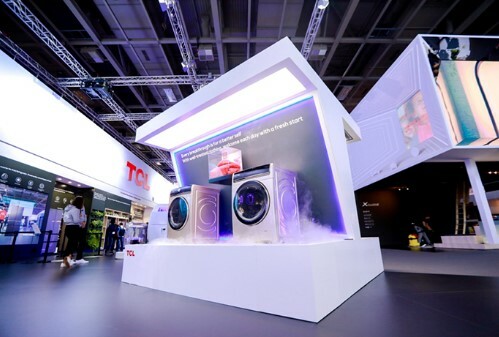 The TCL during this IFA exhibition The refrigerator washing machine won the 'Most Innovative Home Appliance Brand' award is a good testimony. Industry expert Zuo Yanxi said that TCL washing machine has set a good example for the development of the industry. It is a good brand to make products with innovation and create a good life. It is also a good brand for TCL ice washing in recent years. The important reason for the constant activeness in the international arena. The wonderful performance of the IFA exhibition is also the best presentation of the strength and confidence of the TCL ice wash brand. It is a powerful boost for TCL Ice Wash to continue to expand into the international market. Xi Lei, deputy general manager of TCL White Electric Division, said: 'The overseas business of TCL washing machine has only just begun. The reason for the long preparation period is that it is necessary to prepare for the market to be expanded and rush to the sea, which is not in line with local living habits. , will soon be abandoned by the market. TCL washing machine will also be based on 'free pollution' technology, and launch products suitable for the local market overseas. In the future, under the general trend of consumption upgrading in the washing machine industry, products will gradually transform into middle and high-end markets. In the process of transformation, the market threshold will be further enhanced, and the survival space of small brands will be further compressed. For the development of the market, the survival of the fittest The only way to go to a mature market. The TCL washing machine is currently in good shape in all aspects, and it is getting better and better. The future prospects are expected.